Retaining wall surrounded with concrete curbing & green grass - Curb Design Inc. 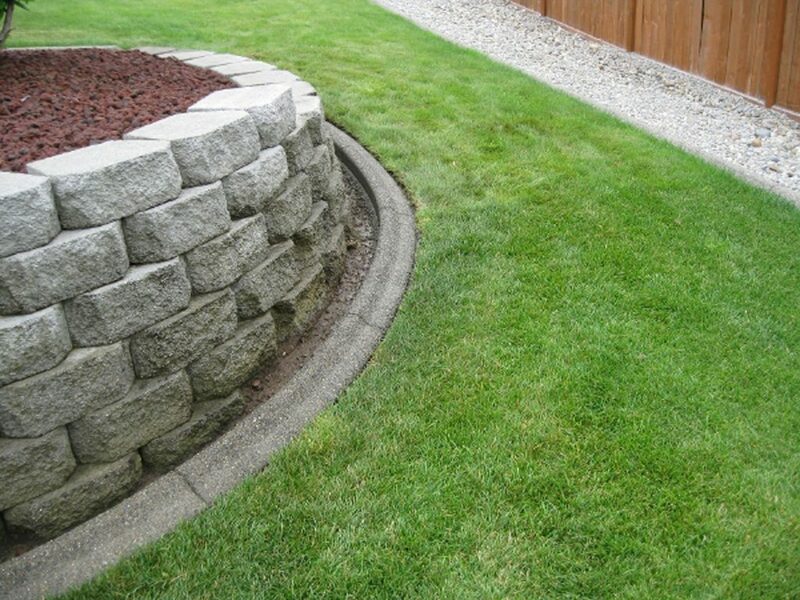 Retaining wall surrounded with concrete curbing & green grass. Dark cedar fence and gravel.